Premsela’s multidisciplinary exhibition Basic Instincts, showcasing contemporary directional visions is hosted at the Eusebiuskerk by Premsela and the Museum voor Moderne Kunst Arnhem (NL) from Saturday 2 June through Sunday 29 July 2012. Featuring work from various designers and artists, the Knotted vases that came out of an experimental design project with Sharon Geschiere in Jingdezhen are on show here. Basic Instincts, which opened in Berlin earlier this year is curated by Luca Marchetti and Emanuele Quinz, presents a distillation of the ideas shaping contemporary Dutch fashion. Beyond just that, it explores how these same ideas are concomitantly the force behind product design, architecture and even art. The designers, photographers and architects in the show have more in common than they might appear to: each works out of a strong personal vision that guides him or her through the creative process. 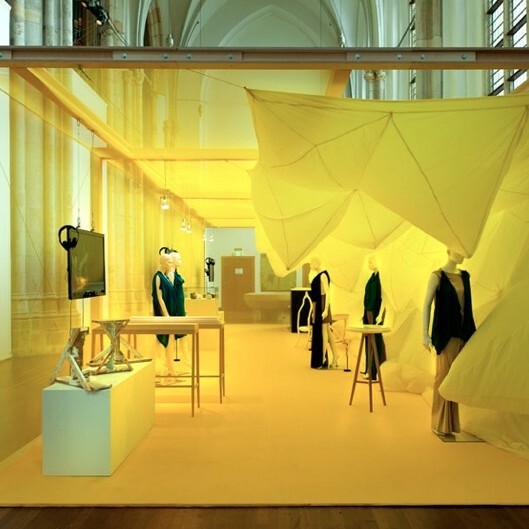 Basic Instincts reveals the Netherlands’ unique fashion and design culture in six varied exhibition landscapes.